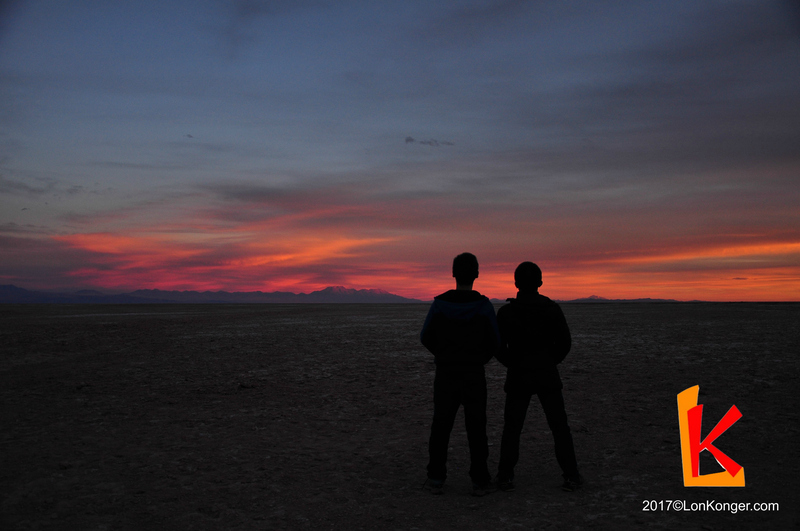 The most popular attractions around San Pedro de Atacama are the surreal landscapes in the Atacama Desert. Most of these are within Los Flamencos National Reserve. 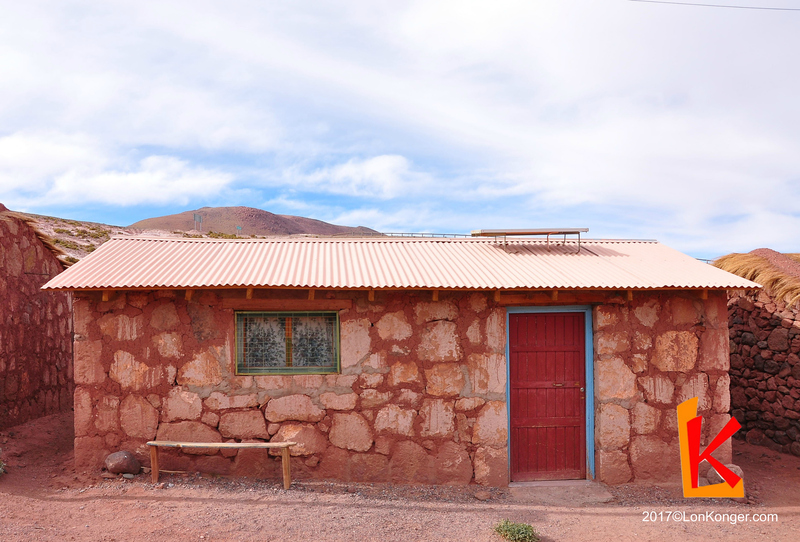 The natural destinations around San Pedro de Atacama are best visited with tours organised by local agencies, removing the trouble of planning transport to and from remote locations. 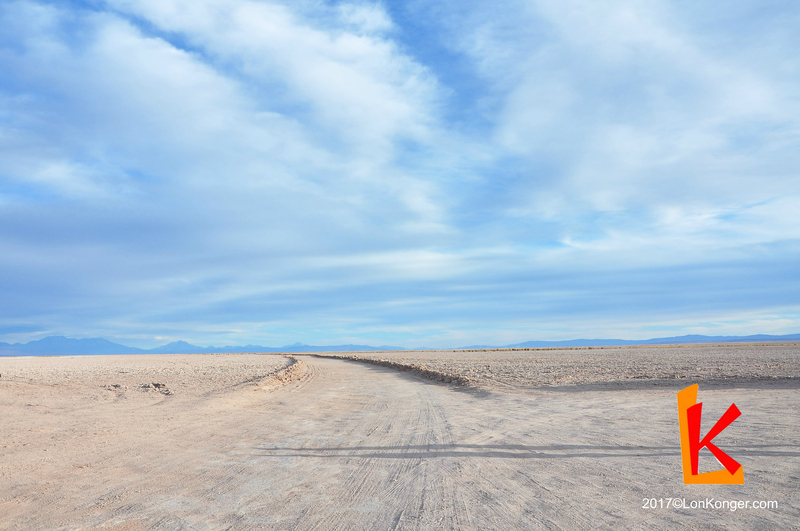 We recommend exploring the options when you arrive at San Pedro de Atacama. This is much cheaper and more flexible than booking in advance. One particular exception is the stargazing tour organised by Time Travel Atacama. Our two tours in day 1 were organised by Terra Extreme, a travel agency which we consider professional. 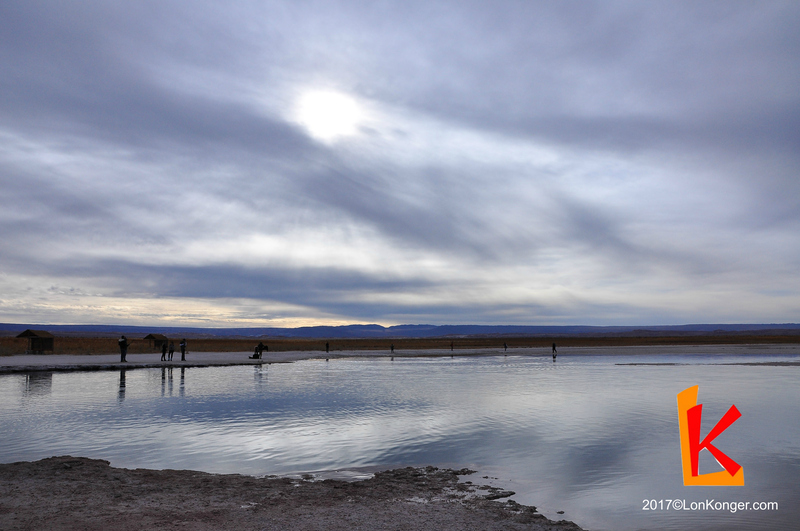 El Tatio Geyser Tour: Our tour began with a hotel pick-up at 4:30 a.m. by a small coach, which took us directly to El Tatio in two hours over bumpy desert roads. 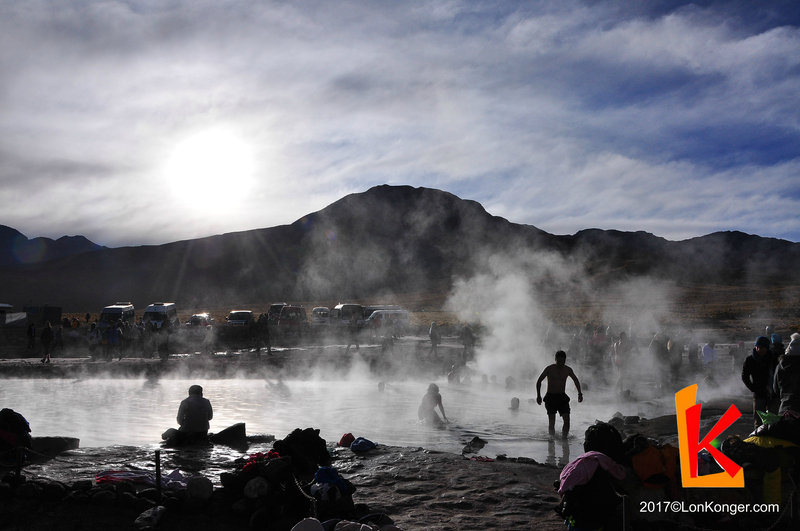 El Tatio is a geyser field comprising up to 80 geysers and is the largest of its kind in the Southern Hemisphere. When we arrived at the geyser field, it was still very early in the morning; the only illumination was from the headlights of our coach. However, as we stepped outside into the biting desert cold, it was clear that the sky was beginning to brighten. A basic breakfast was provided at the geyser field as we watched the sun rise over the impressive Andes, accompanied by twittering yellow-breasted birds, plumped up by tourists’ breakfast scraps. We soon discovered the reason for arriving so early to brave the desert cold. The fuming geysers were most visible in the icy morning air and formed a heavenly scene with the sunlight penetrating the wafting steam. If you are lucky, you might even catch a glimpse of a large splutter from a geyser. Geysers form when underground reservoirs of water are heated by magma, generating steam; once the pressure builds up sufficiently, the steam escapes through fissures in the earth, leading to periodic release of fumes from the mantle. While these and other geysers represent promising opportunities to harness geothermal energy, repeated attempts to prospect geothermal sites have failed, and many projects have since been abandoned. As a result, at present, no geothermal energy is generated in Chile. 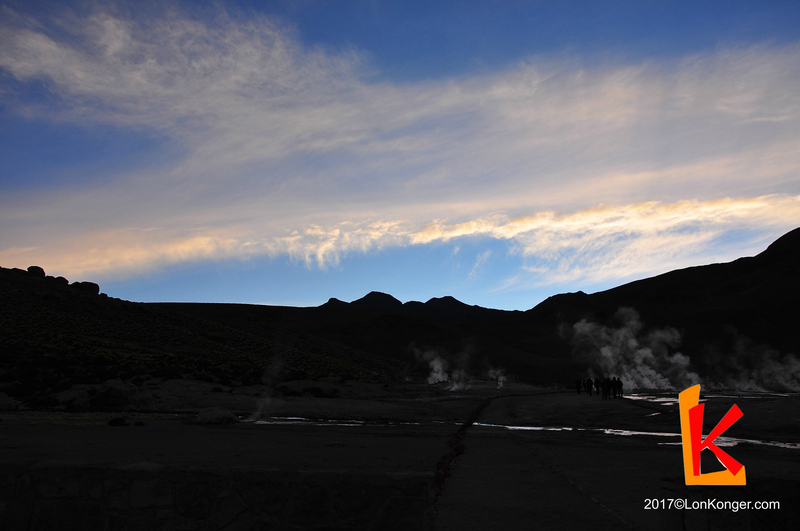 We continued along the geyser field as the sun bathed the surrounding Andes in a warm glow, eventually reaching an empty hot spring. After we were repeatedly prompted to go for a swim, we decided to strip down and jump in. Hopping into the naturally heated pool was the perfect way to get toasty after a chilly morning, but leaving the pool for the cold air was not the most pleasant experience! Along the way back to San Pedro, we stopped at a lookout, or mirador, of the Putana Volcano. The name of the volcano, literally “whore” in Spanish, may allude to the sulphur-mining days when prostitutes would travel to primitive outposts to accompany lonely miners. Historically, the desert’s rich mineral and saltpetre deposits were heavily exploited by mining companies. In fact, the border dispute over these resources led to the War of the Pacific between Chile and Bolivia, and with a Chilean victory, Bolivian access to the Pacific Ocean was completely removed. With the advent of synthetic nitrate and cheaper mining operations elsewhere, very few mining operations are still underway. Indeed, the famous Chilean miner incident in 2010 took place in a mine under the Atacama Desert. 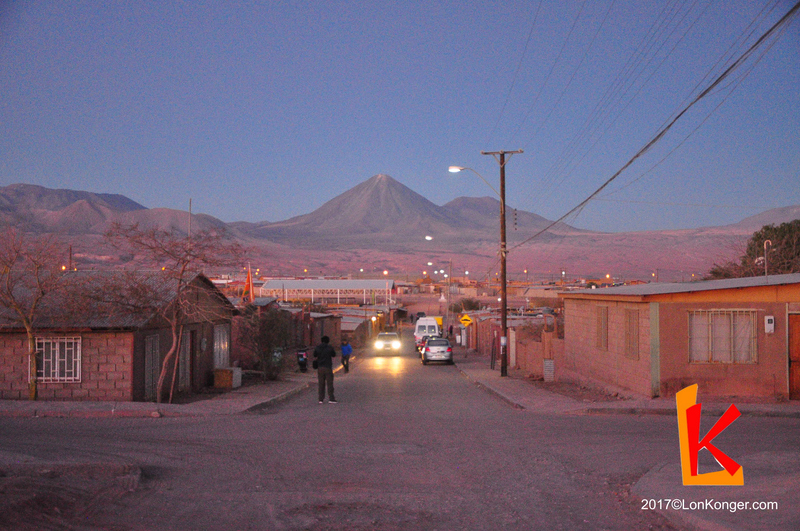 We had another brief stop at Machuca, a small, self-subsistent village trapped in the mining era. There, a man by the side of the road was grilling llama skewers, with the smoky fragrance and tantalising hiss of cooking meat attracting hordes of tourists. 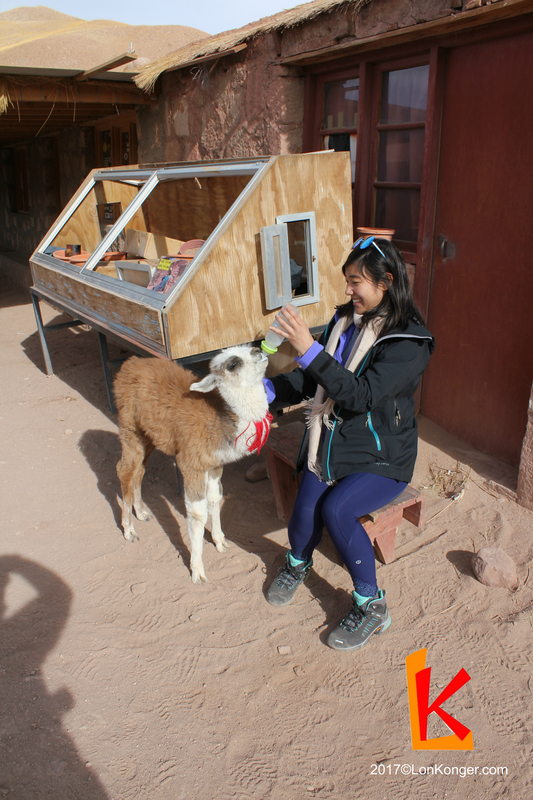 Some of us took the chance to try llama meat, which was much leaner and gamier than beef, somewhat similar to venison. For the llama-loving folk among us, an old lady offered photo opportunities with a baby llama, which was all too keen to slurp up milk from a little plastic bottle. 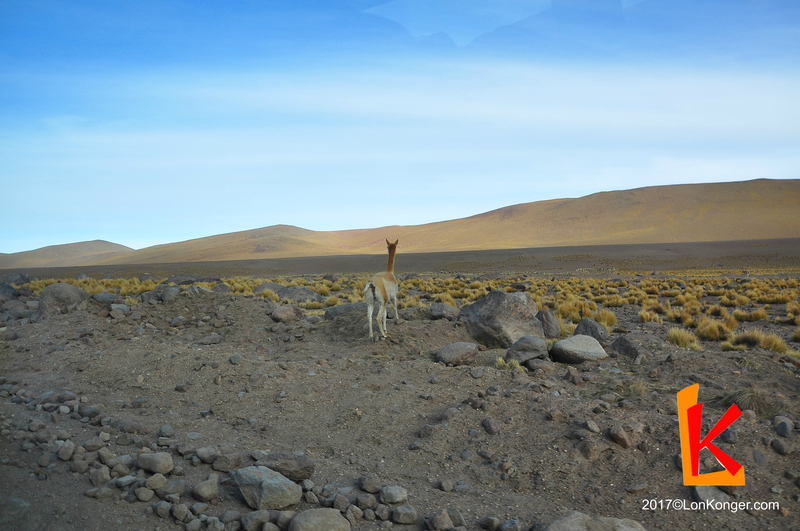 Finally, we were on our way back to San Pedro, but not before occasional stops for an explanation of the local fauna, which include the vicuña, the undomesticated relative of the llama, and the viscacha, a shy, chinchilla-like small mammal. 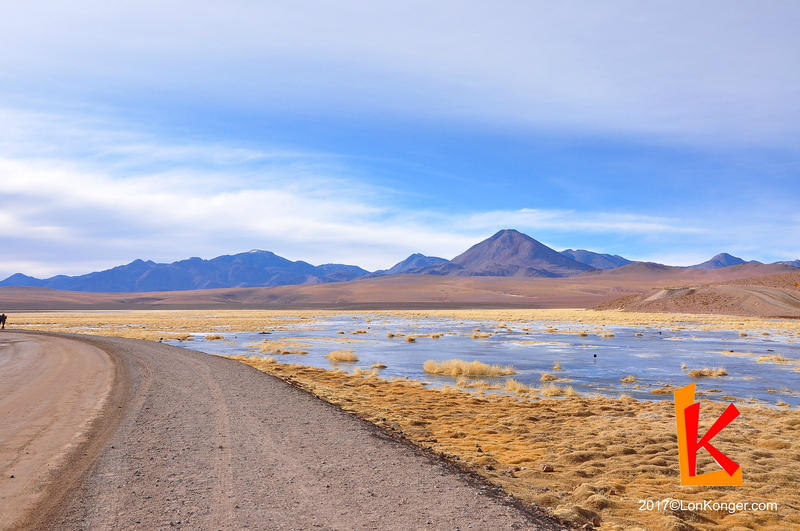 In the arid Atacama Desert, very few species of flora and fauna can thrive; those which persist despite the dry climate have extraordinary adaptations to the near-complete absence of rainfall. For instance, the vicuña primarily drinks salt water, and their thick and sought after coats keep them sheltered from the freezing temperatures of the desert. 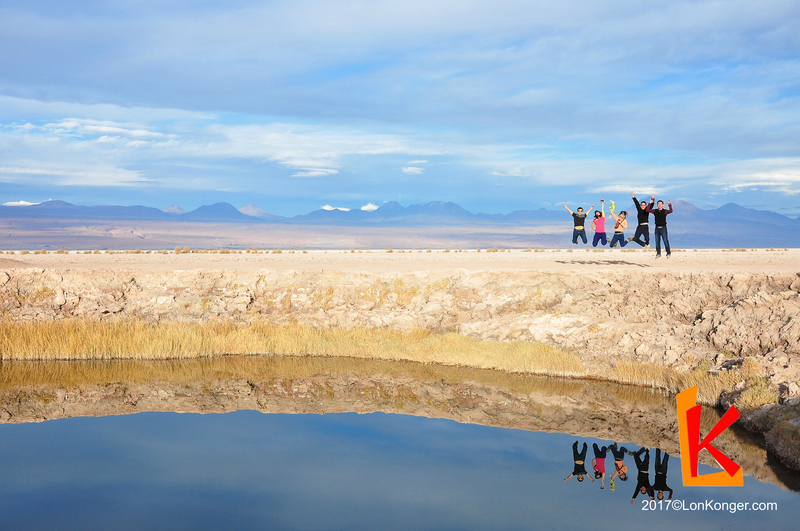 Laguna Cejar/Ojos del Salar Tour: The day’s second tour brought us to the northern edges of the Atacama salt flats. Our first stop was Laguna Cejar, which provides the chance to bathe in a frigid lagoon with a salt content rivalling that of the Dead Sea (though not all members of the group were brave enough to try this, especially in winter!). The high salinity meant that swimmers would float on the surface of the lake! 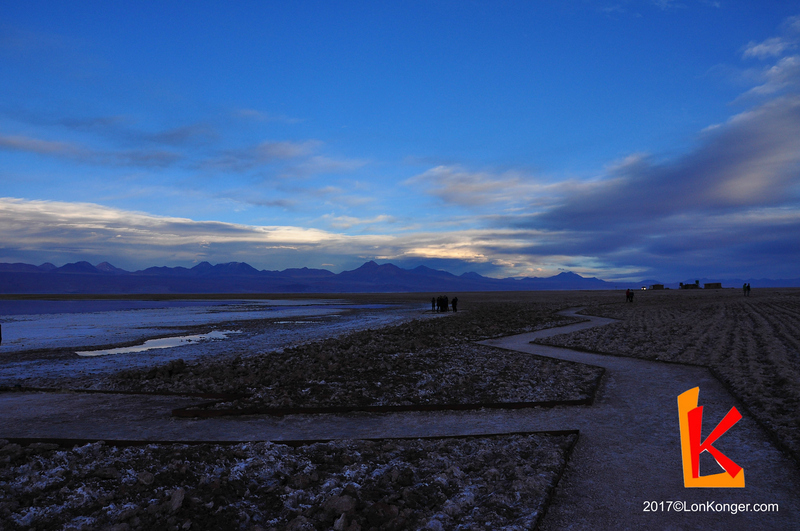 The tour then continued on to Ojos del Salar (Eyes of the Salt Flat), two perfectly circular bodies of water which give rise to their unique name. Unlike Laguna Cejar, the Ojos are freshwater lagoons, and were it not winter, there would likely be people swimming in the cratered lakes. Their remarkable stillness gives rise to reflections of the surrounding Andes for incredible photo opportunities. It remains a mystery as to why they are so perfectly circular and how they came about. It is thought that the lakes are connected to and replenished by underground streams, but the exact extent of the network of subterranean rivers is still unmapped. The tour ended on the shores of Laguna Tebenquiche, a remarkably azure lagoon. During the wet season, this lagoon becomes the home of flamingos and native birds; alas, during the dry season when we visited, the lagoon partially dries up, rendering it inhabitable.